This Google Account FRP bypass Samsung service will any Google / Samsung or FRP based locks on your device. 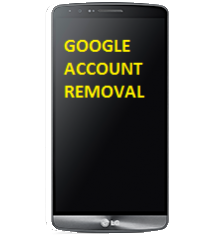 We provide Remote Google account removal for HTC, LG, ZTE and other providers. This is an instant Google Account FRP bypass Samsung service supported via remote connection using usb. Once the service has been completed, your phone will be free of any google or Samsung (FRP) locks. DURING THIS PROCESS ALL YOUR DATA ON THE PHONE WILL BE DELETED. PLEASE DO BACKUPS. Place the order and proceed on HOW TO CONNECT. Once connection is established, visit the web chat and inform the representative about your order. The Remote Google Samsung FRP Account removal procedure takes approximately 5 to 15 minutes to complete. Rooting or any other modification is not required for this service. Select your desired model from the drop down Menu list. We have variable pricing for some products. If your device model is not listed please contact us via online CHAT. A usb cable (oem preferred) and a working usb port on your computer (USB 2.0 preferred). 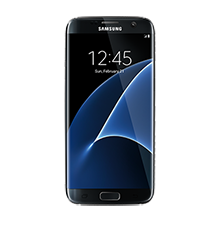 Google Account FRP bypass Samsung does not mean it will sim unlock your device. This is only to remove any Samsung and or google account on your device. Purchase the Google Account FRP bypass Samsung and select the device (model) of phone listed. Once payment is complete, please proceed to the web chat and provide your order number to start the repair process. To setup remote connection for your repair please follow the instructions HERE. Once we connect, it takes about 5 – 15 minutes to perform Remote Google Samsung FRP Account removal. Remote Google Samsung FRP Account removal service will remove you Google / Samsung account. This does not modify / change your imei or remove the phone from blacklist database. Once a purchase is complete there is no refunds unless we fail to provide the service. Please ensure the device is on Stock Rom for procedure. Some of the popular models supported for Remote Google Samsung FRP Account removal are listed below. Sam S6 Active SM-G890A or other variant. Google Account / FRP removed in 10 Minutes… this man knows what he is doing… Super star! I scoured all over the internet for fixes, tools, and repair shops. This was the only person who could fix my FRP lock. And he did it fast! Excellent service! Helpful, and most of all WORKS! SOLID WORK! The only right internet purchase I’ve done in my entire life!!! Pay for this and you will NEVER REGRET! Stop looking at internet solutions! This is the real deal! Tyvm!!! Excellent service. I can use my phone again. Took about 15 min to complete. you sir are the man phone sorted in less than 5 mins, from a useless paper weight to a wonderful phone again can highly recommend his services. Man this guy really knows what he is doing,treid a few different things and got me straightened out in less than 20 minutes. This is the real deal and literally like magic. Within less than 2 minutes Yaser had my phone up and running. I spent 2 days trying all of these solutions I found on the internet, and Yaser solved it REMOTELY in 2 minutes. Definitely would buy again. S/o to ysr for helping me get this done it was done in a blink and he helped get passed a payment issue on my part! It’s actually a very serious guy, despite all my doubts. Chatting it’s the best thing that you can do, and ask questions if you have any. Service provided fast, without any trouble, and I just cannot advise this to everyone. Best service I have encountered so far (I have tried a few before); great fast and stable service. They work swift and give good instructions. Prices are very low for the service you get! Wow ! This is awesome !! Perfect job, thank you very much !! great service..!! Works for s8 G950u.